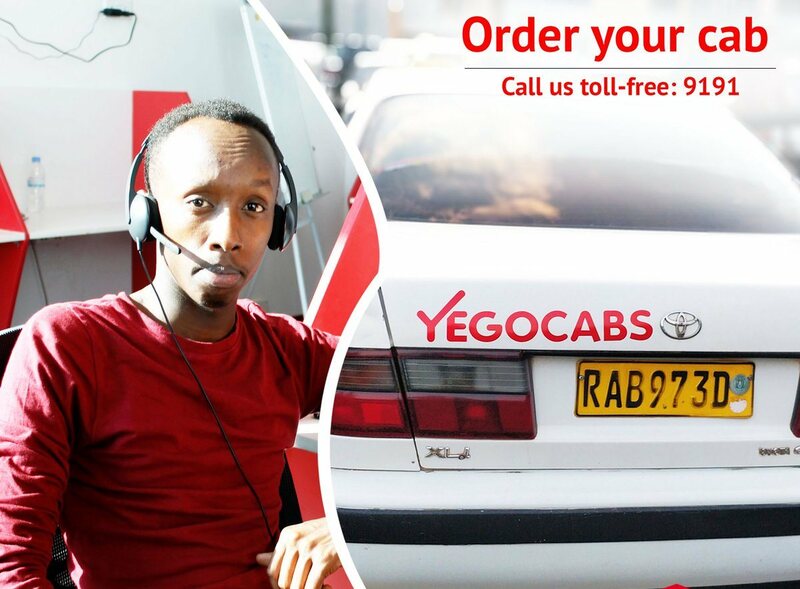 Yego Innovations Limited – a local tech company has introduced a new taxi service named “YEGO cab” where cab services will be only offered by calling a toll-free number and get instant services at affordable prices. According to the new technology, customers will just need to call 9191 and a taxi cab will be at their door step with just 5 minutes. Previously taxi-cab services have been manually offered – where customers would complain of high charges levied on them by cab drivers. With this service, which was launched yesterday, September 27, cab drivers will use Intelligent Connected Fare Meters (ICFM) which is installed in a taxi cab to calculate the cost of a cab ride. Once a customer gets into a cab, Rwf1, 500 ($1.7) will automatically be entered into the system for the initial one kilometer, while Rwf500 will be added for every other kilometer afterwards. According to officials at Yego Innovation Limited, the new electronic meter will be fully controlled online by transport regulatory bodies including; Rwanda Utilities Regulatory Agency (RURA), Yego Innovation Limited and Rwanda National Police (RNP) in terms of price fixation and monitoring. ICFM indicates distance traveled, money, location, speed, identity cards as may be required by authorities. According to Pophia Muhoza – the company operations manager, passengers only call at the headquarters and get taxi cab and a text message on his/her phone in 5-minutes. “The SMS shows license, number plate, driver’s name and phone numbers,” she said. To this to happen, according to Muhoza, you only tell your friends or relatives your ID number and amount you are charged so they can easily pay for you using Mobile Money services. The technology will also help taxi-cab drivers’ access bank loans without presenting collaterals. According to Pophia Muhoza, the new innovation registers a driver’s daily income which is the basis for acquiring a loan. “This new technology in taxi-cabs comes to solve challenges including letdown to access bank loans by drivers, haggling, overcharging customers and accidents,” Muhoza told KT Press. ICFM technology warns drivers about over speeding by producing warning voice note in Kinyarwanda and English. Muhoza said that the warning voice note alerts that “slow down your speed. You are exceeding the limit” which would act as an internal speed governor for cab drivers. After a trip, ICFM gives the receipt based on the distance covered and this can be used in auditing a driver and how much they make on a daily basis. As matter of choice, passengers can use MTN Tap and Pay, MTN Mobile Money or Yego- Ride-Tap-Pay. “You don’t need to carry cash or worry about change during payments,” Muhoza said. About 665 Taxi Owners, 850 Taxi Drivers and 727 Taxi Cabs have been registered by all authorities. Meanwhile, passengers won’t be required to have internet bundles, any application, Internet or airtime to call while seeking Yego taxi-cab services. They will only be required to call ‘9191 and speak to an agent in either of the three languages; Kinyarwanda, English, or French. Eng. Emmanuel Asaba – Head of Public Transport Department at Rwanda Utilities Regulatory Agency (RURA) told media that the regulator electronically installed pricing system in the cabs and this an innovation which will help in solving price challenges faced by passengers. “It is expected that the new ICFM technology will increase the number of trips by 30%, reduce waiting time and ease access to service for the passenger,” Asaba said. Correspondingly, Muhoza told KT Press that installation of meters on motorcycles is still underway until the end of this year. “The registration and meter installation will be history by end of December,”Muhoza said. Yego Innovation Ltd has invested $6.5 million for both YegoMoto and Yego cabs since 2016. Woww what a initiative taken by Yego Innovision.